The TyFry® Classic Leather Drum Sling is hand crafted and uses the finest American leather to a traditional design that looks and feels great. 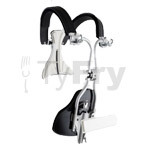 This comfortable and sturdy black leather sling is embossed with the exclusive TyFry® logo. The TyFry® Classic Leather Drum Sling is hand crafted and uses the finest American leather to a traditional design that looks and feels great. 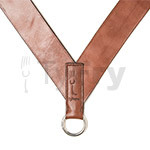 This comfortable and sturdy brown leather sling is embossed with the exclusive TyFry® logo. The TyFry® Classic Leather Drum Sling is hand crafted and uses the finest American leather to a traditional design that looks and feels great. 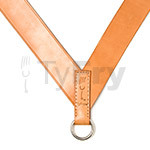 This comfortable and sturdy tan leather sling is embossed with the exclusive TyFry® logo. 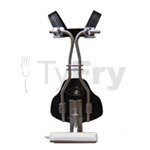 Brow Fry’s bass drum carrier is custom built with both comfort and even weight distribution in mind. The carrier comes in an aluminium or black sparkle finish ensuring a ‘good as new’ appearance. 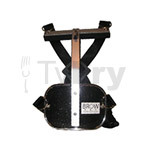 Heavy duty canvas straps and fasteners ensure the harness attaches securely and comfortably to the player. The Randall May Jim Kilpatrick ABS Bass Drum Carrier is the flagship model in the range. The revolutionary Articulating Back Support (ABS) is an ergonomic cornerstone of the carrier design, promoting correct spinal posture. The ABS helps to correctly distribute weight and energy ensuring both comfort and safety. Featuring a raft of new design features including fully adjustable standard Magnesium shoulder supports, new single key adjustment with contour hinge, new ‘Starship’ bracket with sliding height adjustment all made from incredibly strong and equally durable ultra-light materials. The abdomen plate is virtually free floating; bearing no weight from the drum allowing complete freedom of movement. Intelligent weight distribution transfers the weight of the drum to the tubes, away from the abdomen plate improving rigidity and stability. Adjustable lock nut hooks create the perfect stability between the drum and the player. Can be adjusted to fit any make and size of bass drum. Monoposto bracket provides ultimate playing positions, regardless of the size of drum or player. The Randall May Jim Kilpatrick ABS Snare Drum Carrier is the flagship model in the range. The revolutionary Articulating Back Support (ABS) is an ergonomic cornerstone of the carrier design, promoting correct spinal posture. The ABS helps to correctly distribute weight and energy ensuring both comfort and safety. Featuring a raft of new design features including fully adjustable standard Magnesium shoulder supports, single key adjustment with contour hinge, new ‘Starship’ bracket with sliding height adjustment all made from incredibly strong and equally durable ultra-light materials. The abdomen plate is virtually free floating; bearing no weight from the drum allowing complete freedom of movement. Intelligent weight distribution transfers the weight of the drum to the tubes, away from the abdomen plate improving rigidity and stability. Includes Pearl/Premier snare drum adaptor. Andante snare drum adaptor sold separately. The Jim Kilpatrick Bass Drum Carrier is the new benchmark in comfort for the serious bass drummer. The carrier design follows the principals of the snare carrier and allows the player to alter the height of the instrument, while the ingenious air bag attachment stops hard contact with the drum’s shell maximising resonance. The Jim Kilpatrick Snare Drum Carrier is a lightweight collapsible alternative to drum slings and other more cumbersome designs. 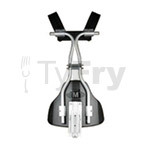 Smart design ensures that the drum may be attached to the carrier at the preferred angle. Tried and tested in competition, this is a must have for serious drummers. Includes Pearl/Premier snare drum adaptor. Andante snare drum adaptor sold separately.